The CoffeeShop Blog: CoffeeShop 2 Minute Miracle Plus Photoshop/PSE Action! CoffeeShop 2 Minute Miracle Plus Photoshop/PSE Action! The beautiful image I used in this ad was photographed and donated by Caryn Prouty. CoffeeShop 2 Minute Miracle Plus is the exact same action as 2 Minute Miracle, but with an additional two steps added. There is a levels adjustment layer that allows you to adjust the color/contrast on the fly and there is also a redness removal layer where you can paint off skin redness with ease. This action is perfect for those red-tinted skin baby images. Here is a before/after from Beverley. To use this action please read the tutorial on the 2 Minute Miracle original action and also the additional tips below. 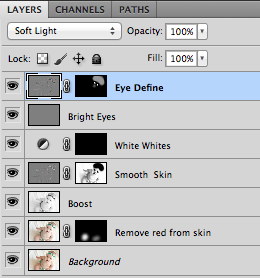 When you start the action, a levels adjustment layer box will pop up and you can adjust color and contrast. After the action finishes running you will see 6 new layers over your background. Paint over the layer masks and adjust each layer's opacity to edit your image. I hope this action will be a valuable additional to your Photoshop/PSE toolbox! 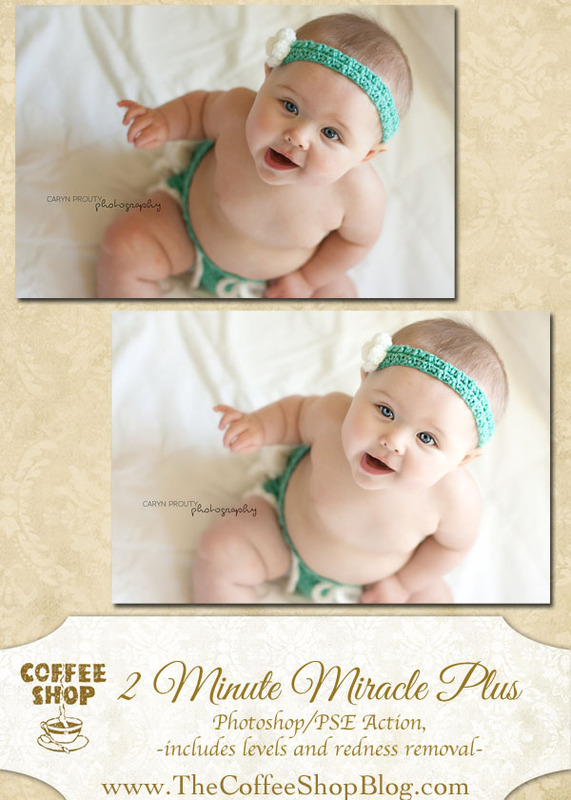 You can download the CoffeeShop "2 Minute Miracle Plus" Action here. I absolutely adore your actions,thanks! I am excited to try this! Thank you for sharing. You are the best! Thank you! I can't wait to try it!! Love your actions! You are so incredibly talented and generous! I love following along on your family adventures and watching he boys grow. Thank you so very much. Anxious to try the newest action in my collection the 2 Minute Miracle Plus!